There have been two summits on parity for women in theatre in the past two months. On October 28-29, 2017 WAM Theatre hosted the Berkshire Leadership Summit in Lenox, Massachusetts, a weekend summit designed to help mid-career women in theatre acquire the skills and confidence they need to get the top leadership jobs in regional theatres. On November 30, Women in the Arts & Media Coalition hosted an afternoon summit in New York City to discuss strategies for increasing the number of productions of plays by women. The Berkshire Leadership Summit grew out of a report of the Wellesley Centers for Women that analyzed the barriers to women becoming artistic directors and managing directors in LORT regional theatres. The report found that hiring committees often do not trust women as much as men, that discussing childcare issues is often taboo for women seeking leadership roles, and that women do not have as many mentors and apprenticeship opportunities as men. American Conservatory Theatre had commissioned the Wellesley study and held a conference about it in August 2016. Towards the end of that conference, Kristen van Ginhoven, the Artistic Director of WAM Theatre, was so inspired that she stood up and offered to host a follow-up meeting and invited others to join her. Three people stepped forward and worked with van Ginhoven to organize the Berkshire Leadership Summit - Akiba Abaka, Audience Development Manager at ArtsEmerson; Rachel Fink, Managing Director of Theatre Bay Area; and Shafer Mazow, who is currently the Senior Grants Manager at the Exploratorium in San Francisco and who had been a lead developer and organizer of American Conservatory Theatre's work on this issue. The Berkshire Leadership Summit was designed to offer 80 mid-career women training in the practical skills that are required for leadership positions, as well as a sense of community to help them stick to their goals. There were sessions on fundraising, budgeting, board development, and working with search firms, and there were many candid conversations during and between the sessions where the participants could discuss their career obstacles and the best ways to get past them. The organizers had taken care to select a diverse group of participants and panelists, and the intersectionality of gender, race, LGBTQ, and other issues was frequently highlighted in the discussions. There was a special urgency to the summit because there is a real opportunity to change the face of American theatre over the next two years. Many leaders from the baby boomer generation are retiring from the jobs they have held for decades, and there are currently over 20 Artistic Director jobs and a dozen Managing Director jobs available, including the top jobs at some of our most prestigious theatre companies (see the list of vacancies in this Google Doc). This feels like a once-in-a-generation opportunity to get more women into these positions - especially more women of color since they are woefully under-represented. There is currently only one woman of color serving as the Artistic Director of a LORT Theatre (Diane Paulus at American Repertory Theatre), and there are no women of color serving as Managing Directors of LORT theatres. Hana Sharif and Martha Richards spoke on a panel at the Berkshire Leadership Summit moderated by Elizabeth Diamond. 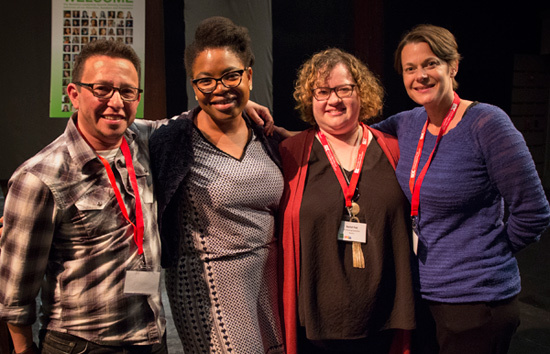 Read Martha Richards' reflections on the conference in American Theatre. Contact Board Members/Hiring Committees - If you know board members at any of the theatres that are hiring or if you are on the board yourself, please advocate for qualified women candidates to help them get the jobs. Personal recommendations are often very important to hiring committees, and your positive comments about a candidate can make a big difference. American Theatre has published Women in Leadership: It's About Time, featuring reflections on the summit by three participants - Abigail Pañares, Deanna Downes, and WomenArts Executive Director Martha Richards. Theatre Bay Area published Lauren Spencer's excellent article, Putting Women in Power: A Report from the Berkshire Leadership Summit. 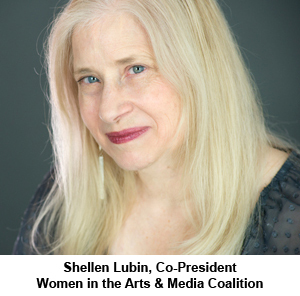 Shellen Lubin, the indefatigable co-president of the Women in the Arts & Media Coalition organized a half-day summit in New York on November 30 to discuss strategies to increase the number of productions of contemporary and historical plays by women. She planned the summit in collaboration with WomenArts, the Dramatists Guild, and the National Theatre Conference. Lubin's goal was to find ways to increase the impact of the many groups and initiatives that are now working to increase the number of productions of plays by women. For instance, The Kilroys publish an annual list of excellent contemporary unproduced plays by women, History Matters - Back to the Future promotes the study and production of historical plays by women, and groups like 365 Women A Year or The Future is Female Festival encourage women to write and produce plays on specific themes. The National New Play Network has established the New Play Exchange, a database with 6,000 scripts by women that can be searched by genre, cast size, location, and more. Lubin wants to make it easier to find all of these excellent resources and to build alliances among the groups. 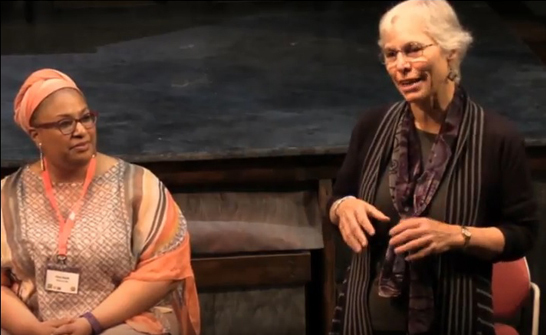 Create an online database of plays by women of the past - The summit participants were inspired by the way that the New Play Exchange makes it possible for women to upload their scripts and tag them with keywords so that they can be easily found. They want to set up a similar database for plays by women of the past. Collaborate with the National Theatre Conference - The National Theatre Conference created a Women Playwrights Initiative in 2010 that was designed to encourage its 150 members to do more full productions of plays by women. Several of the summit attendees were members of the National Theatre Conference, and they agreed to create and share an annotated list of plays by women that NTC members have produced, and they will do one-on-one outreach to the National Theatre Conference members to persuade them to do more plays by women. 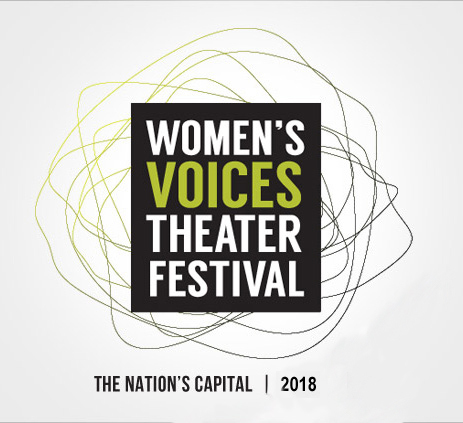 The Women's Voices Theater Festival in Washington, DC is inviting theatre artists around the world to organize free readings of unproduced plays by women playwrights on January 21, 2018 as part of the new celebration called International Women's Voices Day. The Women's Voices Theater Festival made history in 2015 by producing 52 world premieres of plays by women in two months – the largest festival of women playwrights ever. The festival will return in January and February 2018 with full productions of contemporary plays by women at 26 theatre companies in Washington, DC. Allison Janney is Honorary Host this year. In addition, the festival has teamed up with National New Play Network and the New Play Exchange® this year to create International Women's Voices Day. Their goal is to encourage free readings of unproduced works by women around the world. The celebration has been scheduled for January 21, 2018 in honor of the one-year anniversary of the historic Women's Marches last year. It's easy to participate – just pick an unproduced play by a woman, secure the rights if necessary, organize a free public or private reading, and let the Festival know you are doing it by emailing them at IWVD@WomensVoicesDC.com. That's it! Copyright © 2017 WomenArts, All rights reserved.